The Indigenous Business Association of Malawi (IBAM) has faulted a lack of knowledge among business people for perpetrating low production of goods that can be sold on the international market. IBAM chairperson Mike Mlombwa said that most local manufactures lack knowledge and that is why they are failing to produce goods that can be sold in other countries. “Bussiness people do not have much knowledge because business people are not given opportunities to travel outside the country so that they learn how to manufacture goods that can compete on the international market,” said Mlombwa. There are concerns that Malawi’s currency is losing its value as the country is finding it difficult to generate forex to match with import needs. Some quarters of the society have suggested that government should fix the Kwacha in order to maintain its value. What are your recommendations bwana Mlombwa? Give us at least 4 or 5 suggestions to improve the state of affairs. It is very easy to pick out problems or failts with anyone or indeed any system. I would have loved if you provided the readership with your suggestions onhow to improve the situation. Though I do agree with what you have said but there is also lack of fellow local Malawians to share knowledge and skills they have acquired. I am one of the very frustrated Malawians living in the UK. I have tried hard to find ways of contributing to my own country. I have so much knowledge of training in health and business but each time I have made attempt, I am meeting resistance everywhere from the local businesses to the politicians. I feel they see me as a treat rather than an asset to contribute to my country. I have contributed so much to this foreign land. So it will be difficult even if you send the Malawian abroad. They will go there only for shopping and will bring back nothing. Malawian business people need to change their culture and attitudes so that within they become more competitive by sharing knowledge and skills. 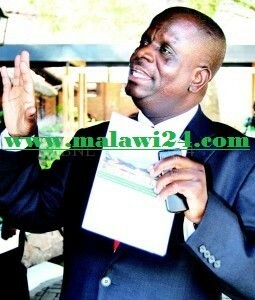 zimene akupezazo zimawakwana….thats y angomwera delunde ndi kumakwata ana ntaunimu…..dikirani tiyambe ife abwana!! wat is he dyng to make them knowledgeable? Is this guy’s term of his office ever expires ? We started hearing a lot of him alone representing the unknown people for more than two decades ? It’s time now that he should handover his post to the new blood , he is not supposed to have a life presidency for an organization which is supposed to be contested.